If you suffer from headaches and/or migraines, then you won’t need me to tell you just how debilitating they can be. 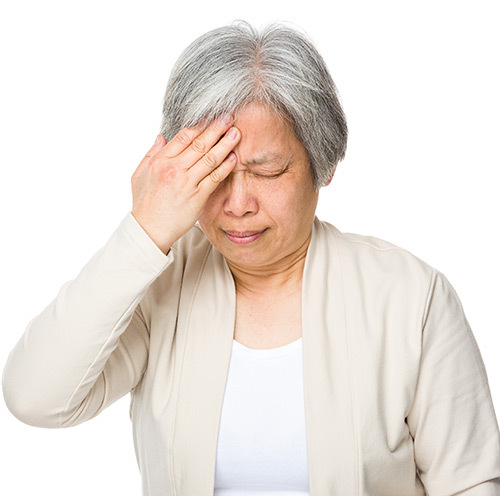 A nasty headache can totally disrupt your day; a migraine can put you out of action for 24 hours or more and cause all sorts of unwanted side effects including vision disruption, nausea, light sensitivity and physical weakness. What triggers a headache or migraine? If you are lucky enough to have been able to identify the triggers for your headaches or migraines, then you may be able to avoid them. Certain foods (normally salty, processed or preserved) can be a trigger, as can perfumes and flashing lights but for many people the cause is unknown, or it’s completely unavoidable, such as migraines related to hormones/monthly cycles. There are many different types and causes of headaches but studies have shown that the two most common are cervicogenic headaches, which are caused solely by tension and/or misalignment in the upper neck – and migraines. Avoiding stress, fatigue, anxiety and low blood sugar can all help but some of the most effective techniques for both types of pain involve the avoidance – or treatment – of tension in the neck and shoulders and the correction of poor posture. Can chiropractic treatment help to relieve headaches and migraines? Put simply, yes. Spinal adjustments can help to improve posture and to release tension in the neck, where many headaches and migraines originate. See ‘Chiropractic Care for Neck Pain’. There is evidence through a number of different studies that people suffering from cervicogenic headaches experience immediate relief following a chiropractic treatment and migraine sufferers report a significant reduction in the frequency and severity of their symptoms. So hopefully, you’ll soon find that your treatment is preventing you from getting as many headaches and migraines and that you can become less dependent on pharmaceutical pain relief. Chiropractic is natural and has far fewer side effects than traditional medicine; you may feel a little tired or ‘heavy’ after treatment but it doesn’t last long. As well as adjustments to realign your body and improve your posture, it’s important work on the soft tissues of the neck and at the base of the skull. Therapeutic massage is very effective at reducing pain because it relieves tension in all the affected areas and this is all part of the care offered at Mutley Chiropractic Clinic. The first time you come to see me about your headaches I’ll need to ask some questions to establish their frequency and cause. I will also need to take a full medical history to understand whether you have any undiagnosed conditions, or are taking any prescribed medications that may impact your treatment. The first thing we need to do is try to establish why you are experiencing pain, as this will help greatly in determining the most effective method of treatment. We can also look at diet and stress and if you’re happy for me to do so I can give you some great up to date advice on effective lifestyle management strategies. As with all of my treatments we’ll take it slowly and I’ll provide a step by step explanation of what I’m doing and why. The treatment itself should not cause you any pain and in fact, most patients find it incredible relaxing and feel an immediate benefit. If headaches and/or migraines are dominating your life, then you may feel like it’s time to take back some control and break the cycle. I will be more than happy to help you and I look forward to meeting you and talking you through the various treatment options.